There are many smart uses for an empty glass jar. Recycling offers inexpensive ways to create something different, useful and unusual. 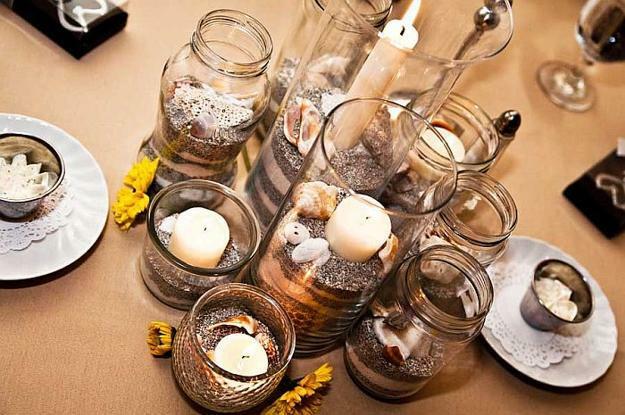 A home organizer, an attractive container to display decorative rocks or seashells, a vase for flowers, an original wine glass for adding a stylish contemporary vibe to table setting are just a few Green ideas to reuse and recycle glass jars. 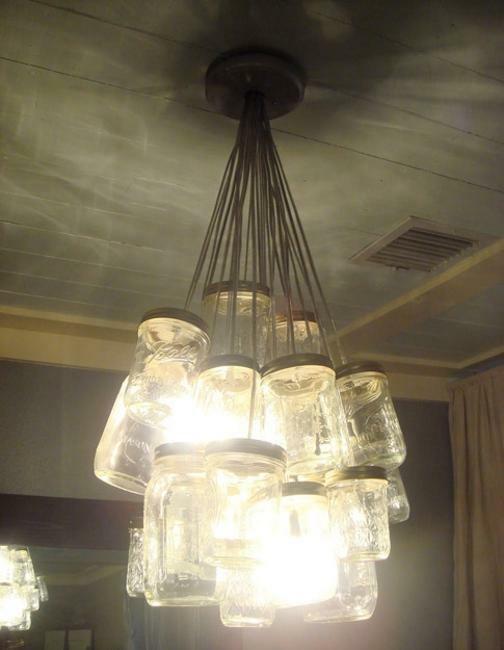 Recycling them for modern lights is another smart idea to save empty jars from a landfill. 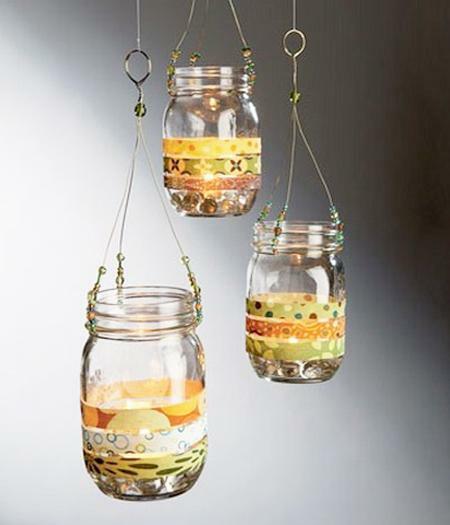 Lushome shares a collection of glass recycling ideas to design hanging lamps and candle lanterns for beautiful home decorating. 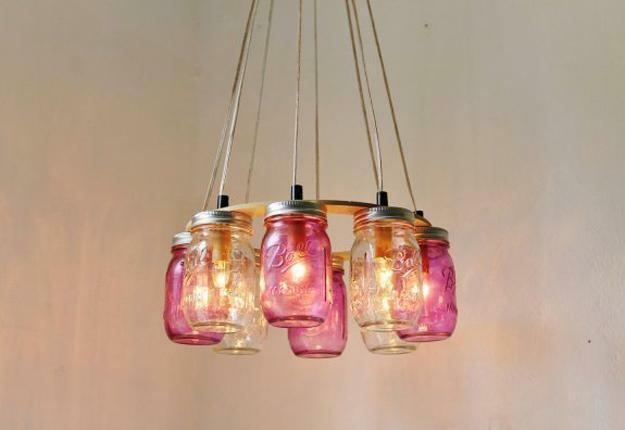 Art and craft projects turn glass jars into gorgeous lighting fixtures. Decorating these glass jars ends up creating a truly unique lamp or candle lantern which makes a perfect gift and a home accent. Personalized lighting fixtures look beautiful and give character to interior decorating or outdoor home decor. 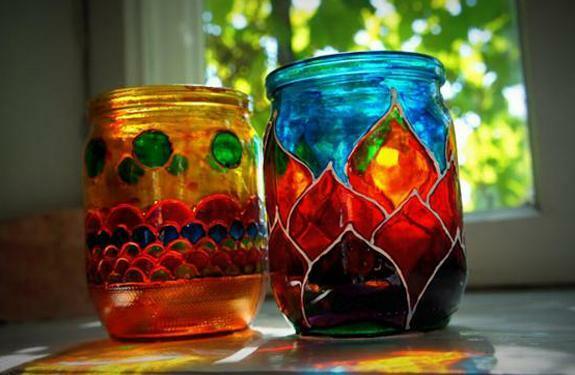 It is amazing how many different glass jar designs you can create. 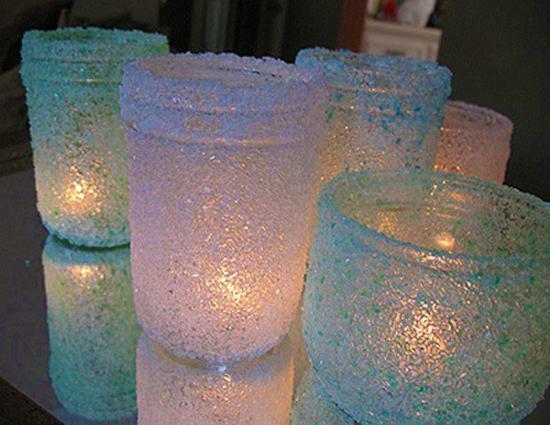 Art and craft projects, colorful painting ideas, decorating with lace fabrics, twine, burlap, rope, driftwood, buttons, beads, feathers or ribbons help recycle glass jars for beautiful and unique lights. 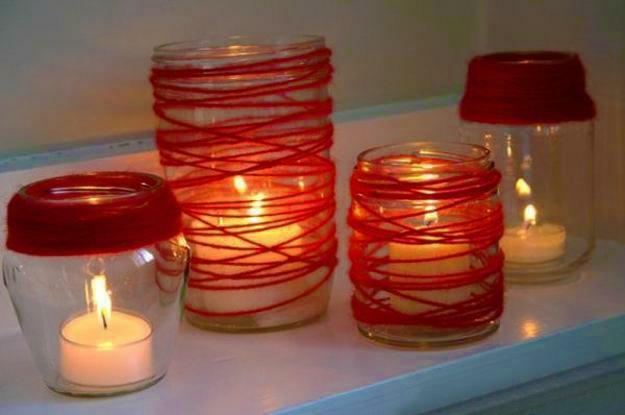 Turning empty glass jars into candle lanterns is easy and quick. 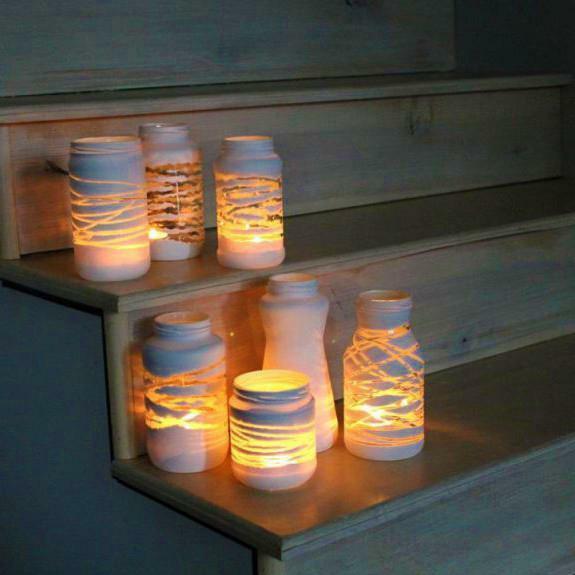 Painted containers with small tea candles inside look fabulous and give a nostalgic vibe to room decorating. Glass jars in vintage style, colored glass, or unusual glass designs are charming and exclusive. Original ornaments, colorful painting, ethnic motifs, fabrics, lace, cutout designs, buttons, seashells, and ribbons can decorate clear glass jars. 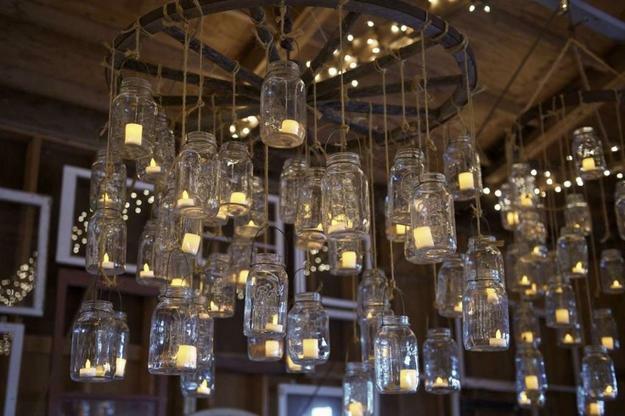 The possibilities for transforming ordinary glass jars from lacking interest, useless items to fantastic pendant lights and candle lanterns are endless. Recycling is an easy and fun way to design unique light fixtures. 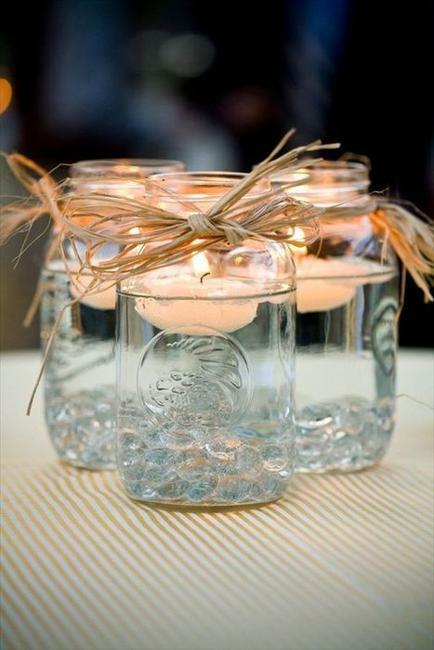 Glass jars allow to create beautiful candle lanterns for holiday decorating and unusual pendant lights useful for everyday living. Colorful painting or small items like pebbles, seashells, beads that can be showcased inside enhance clear glass jars and turn them into fabulous hanging lamps. 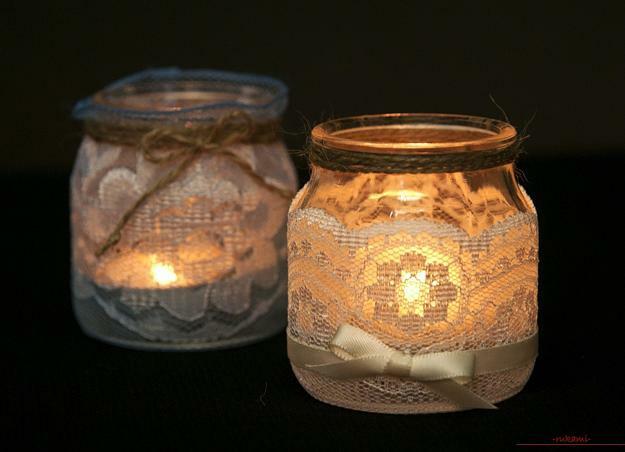 Candle lanterns are romantic and elegant. 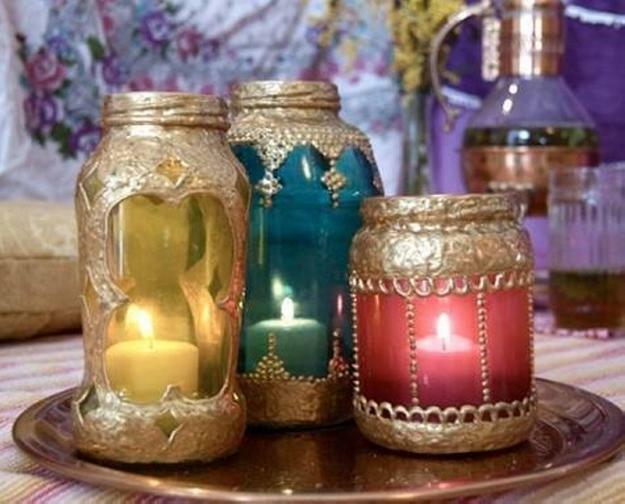 Recycling glass jars for tea candle lanterns is the best way to brighten up your living spaces in spite of the wide variety of modern lighting fixtures that shine brighter than simple candle lights. Candle lanterns attract people with their pleasantly glowing, warm and quiet glow. 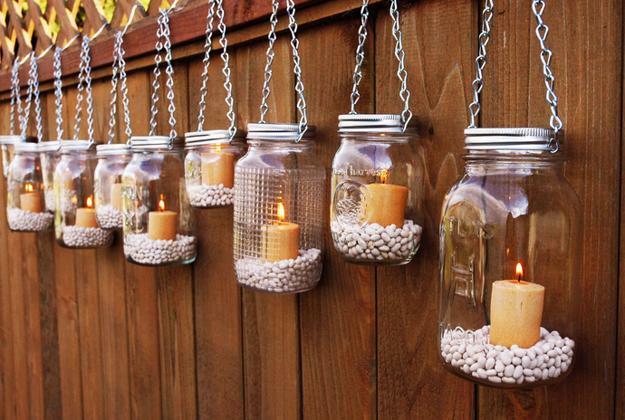 Candle lanterns create a peaceful atmosphere and make room decorating very special and romantic. Natural candles ingredients make the lights ideal for relaxation and aromatherapy. Wax candles in glass jar lanterns melt slowly producing a smell which is great to have around the house. Glass jar lanterns with naturally scented candles bring pleasant aromas inspired by green fields and flowers. 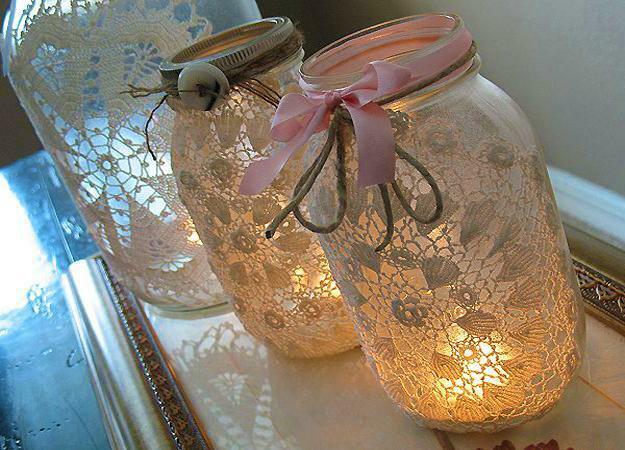 Glass jars add their old world charm to beautiful interior decorating. Placing these lamps in outdoor rooms, in your gazebo or on your porch, gives the outdoor living spaces a comfortable and safe feel. All glass jars are perfect for recycling projects. Pendant lights and candle lanterns look even more impressive if you combine glass jars in various sizes., colors or designs. 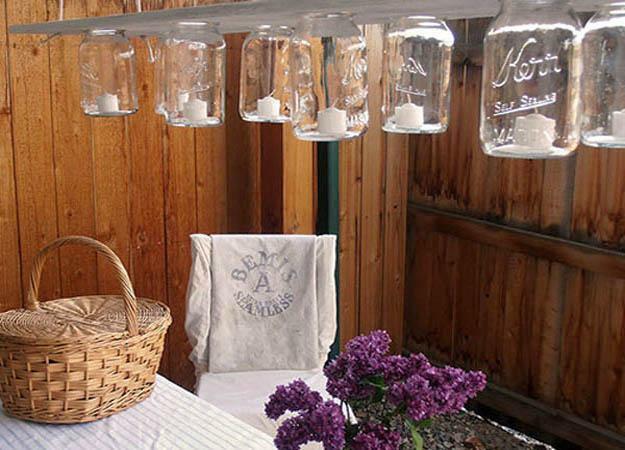 Hanging lamps made with recycled glass jars look spectacular, blending Green design with charming beauty and simplicity of glass. 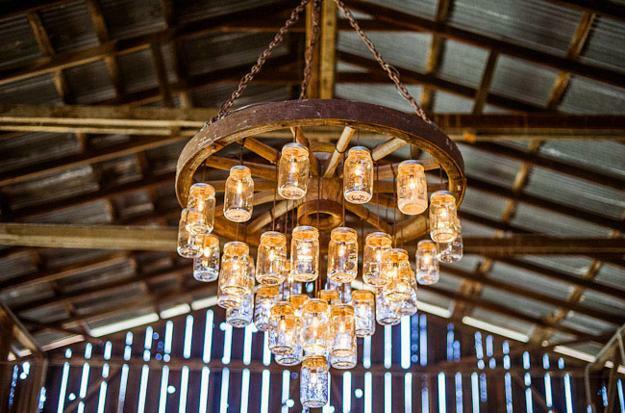 You can mix and match different glass jars, use various materials, and decor ideas to create unique chandeliers, pendant lights and table lanterns for your home interiors and outdoor rooms. 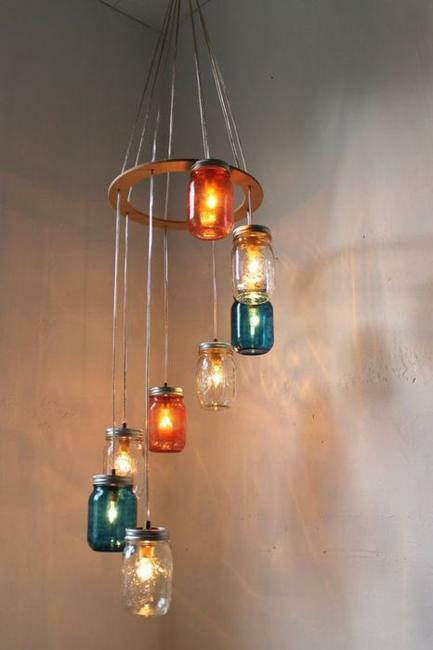 Glass jar lighting design is versatile, informal and fun. 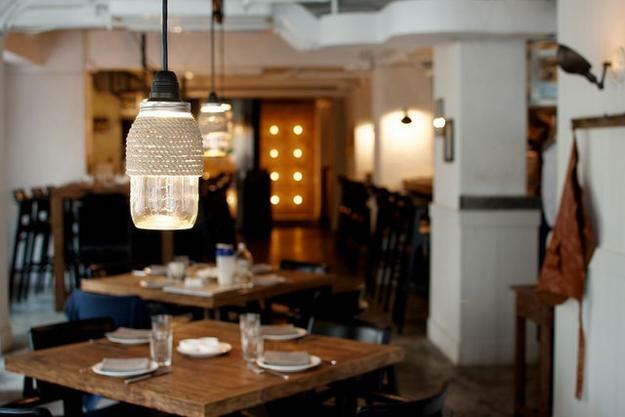 Glass jar lighting fixtures are suitable for any room decorating. 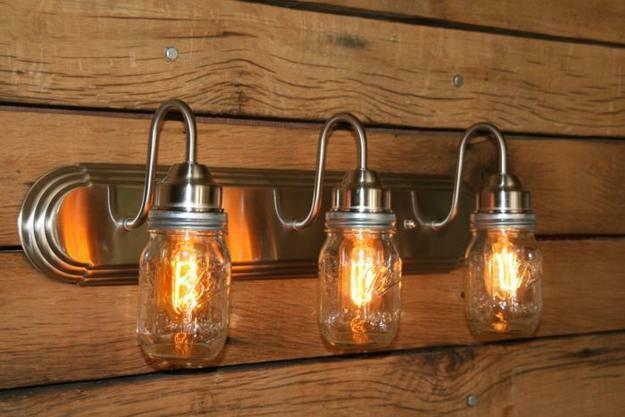 You can use jars in different sizes or one size for adding the uniformity to lighting design. Glass recycling and creative lighting ideas offer fabulous ways to enhance any interior design and accentuate outdoor living spaces. Glass lanterns with candles can bring pleasant aromas to different rooms, brighten up holiday table decor, create spectacular illumination of outdoor rooms or accentuate staircase designs.